Johalla Projects is very pleased to announce If I had my live to live over, I’d live over a delicatessen — a new, collaborative exhibition organized by Ron Ewert and the gallery. The exhibition will run from MAY 9—JUNE 15, 2014. An opening reception will be held on FRIDAY, MAY 9 FROM 7-10PM. For If I had my life to live over, I’d live over a delicatessen, Ewert has organized a group showing of discreet, site-specific, and collaborative artworks with artists Levi Budd, Ilie Paun Capriel, Anaïs Daly, and Michael Kloss. The included works engage current dialogues around humor, seriality, site-specifity, and the relationship between identity and place. The show’s collaborative premise is fueled by Ewert’s history of curatorial/organizational practices. This, in line with Ewert’s own studio practices, will examine/manipulate the existing physical construction of the space and its resultant psychological affects. Attributed to an unknown author, the title of the exhibition comes from Robert Byrne’s book of quotations called The 1911 Best Things Anyone Ever Said. The joke itself is pleasantly absurd — it embodies an anachronistic and futile sense of repetition. The word delicatessen speaks to a latent, visual sensibility, recalling a place of association and choice. Ron Ewert is an artist currently living and working in Chicago, IL. He received his MFA from the Painting and Drawing Department at the School of the Art Institute of Chicago. His work has been shown in a number of two-person and group exhibitions nationally and internationally, including the New York Art Book Fair; Monya Rowe Gallery, New York; The Green Gallery, Milwaukee; Circuit 12 Contemporary, Dallas; and the Freies Museum, Berlin. He has also exhibited widely in Chicago. Most recently, Ewert’s work was included in A Study in Midwestern Appropriation, a group exhibition at the Hyde Park Art Center curated by Michelle Grabner. Currently, he is Co-Director of The Hills Esthetic Center, an exhibition space in Chicago dedicated to emerging local and international artists. Levi Budd received his MFA in Painting and Drawing from the School of the Art Institute of Chicago in 2013. He is the director of Sandcastle as well as a co-curator at Julius Caesar Gallery. Levi currently lives and works in Chicago. Ilie Paun Capriel is a Romanian Belgian-born German national. He grew up in Los Angeles, where he studied economics and cinema studies, lived on a sailboat, and worked for the Hollywood studio system. He received his post-baccalaureate and MFA from the School of Art Institute of Chicago. He makes sculptures and installations. Formally minimalist cut with rococo, these spaces possess a collective psychological tenor that might be called Fate in a Pleasant Mood. He lives and works in Chicago. Anaïs Daly is an artist, teacher, activist, and critic who currently lives and works in Chicago, IL. 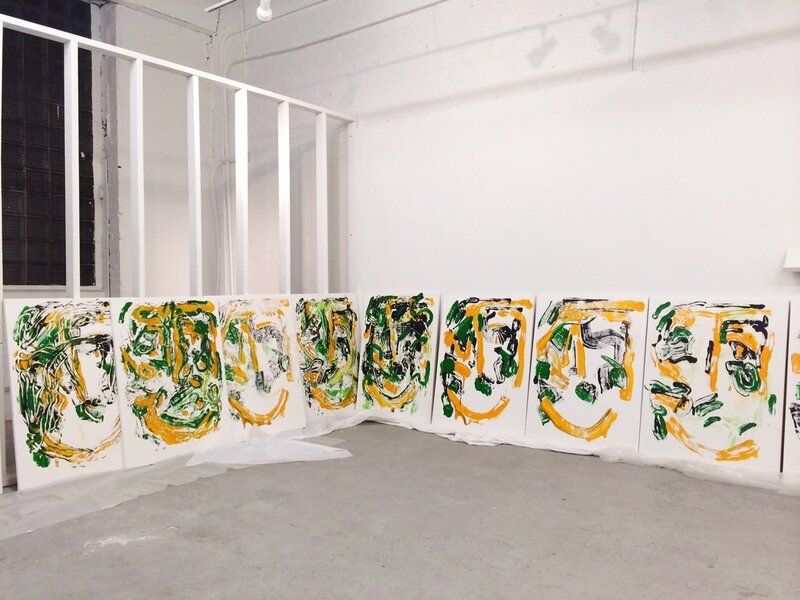 Her works have been exhibited in Boston, New York, Brooklyn, and Chicago, including performances at Yale School of Art and the Hosfelt Gallery in New York. She is currently a fellow at the University of Chicago, teaching courses in drawing and sculpture. Although her work consists mainly of sculptural and performance based practices, she is interested in the line between event and practice and orchestrates events ranging from symposiums, publications, and artist venues. She was co-founder of two artist spaces in Boston and Brooklyn. Michael Kloss received his BFA from the Milwaukee Institute of Art and Design in 2004. Michael grew up in the north woods of Wisconsin, hunting and fishing. Now he hunts for materials for his sculptures, arrangements, and sound work. Using materials such as used socks, coral, and discarded packaging, anything is a material and any place can hold an item or material used in his works. Michael is Co-Director of The Hills Esthetic Center. Sun Ra, Fate in a Pleasant Mood, 1965. Bad at Sports' "What the T?" Chicago magazine's "Freebie of the Week"